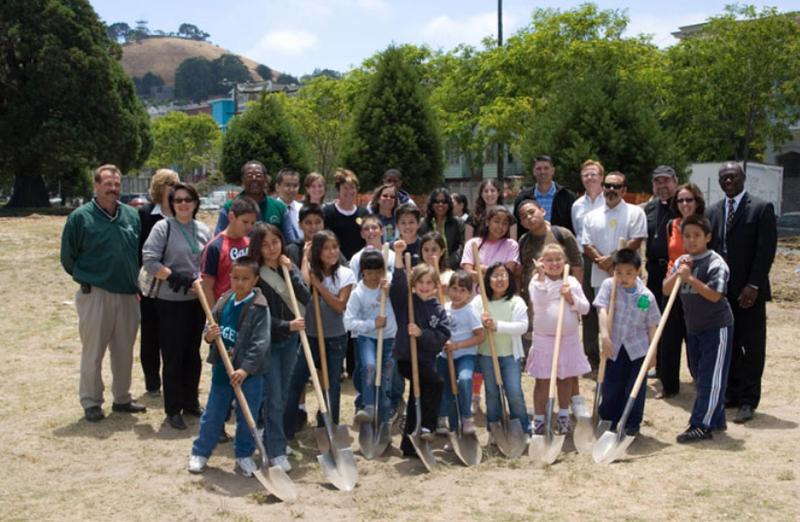 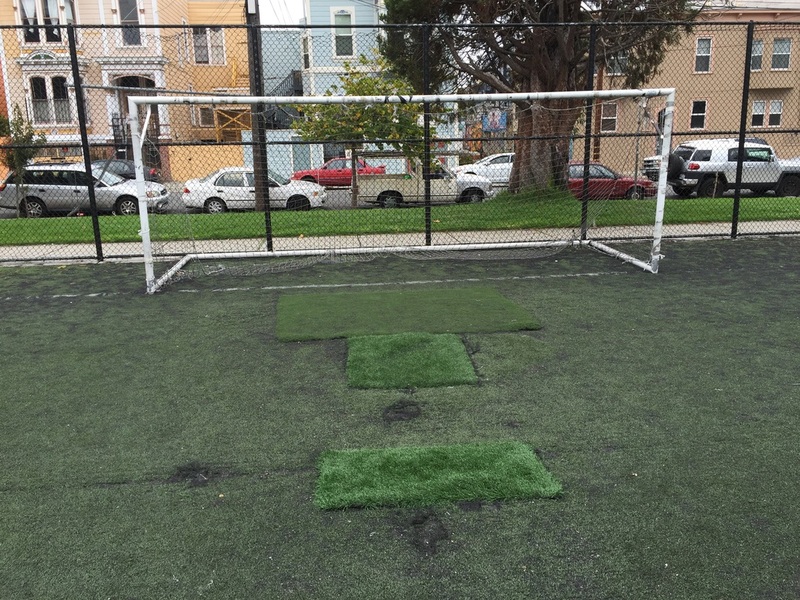 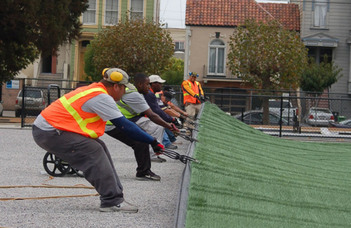 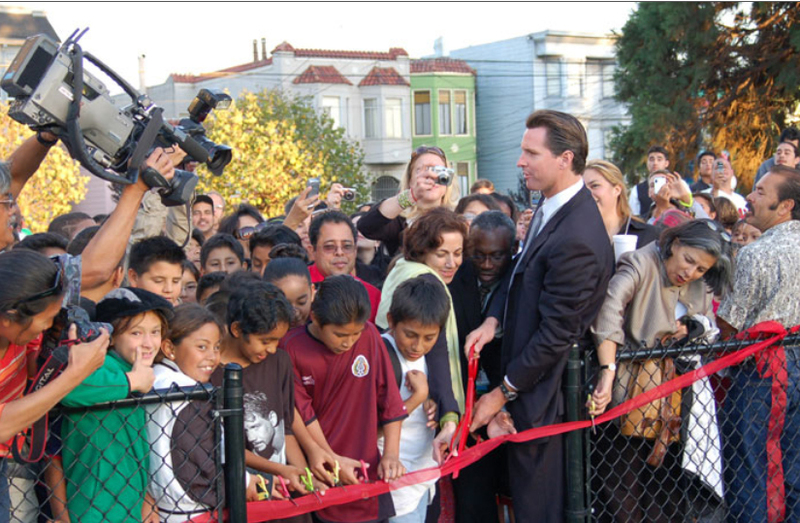 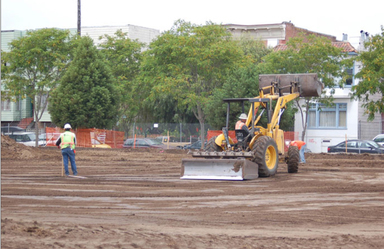 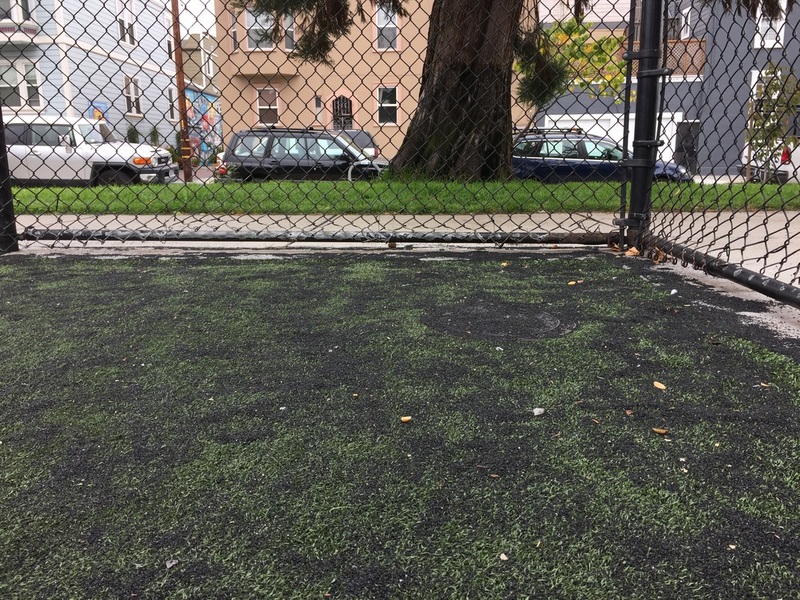 In 2006 -- Garfield a neighborhood grass park in San Francisco was replaced with synthetic turf. 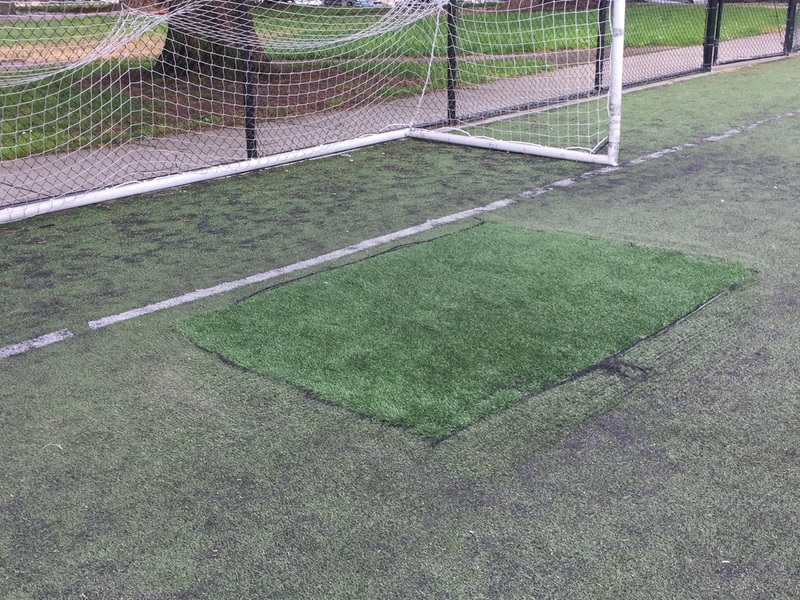 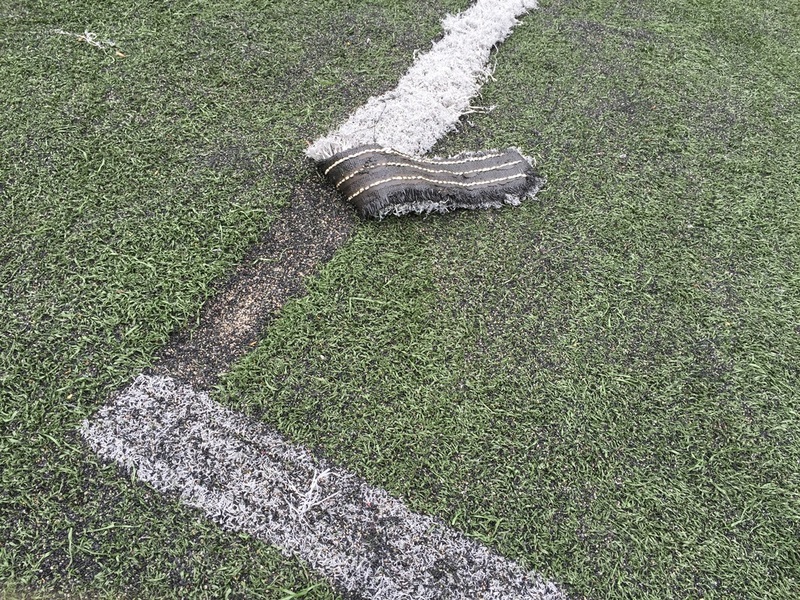 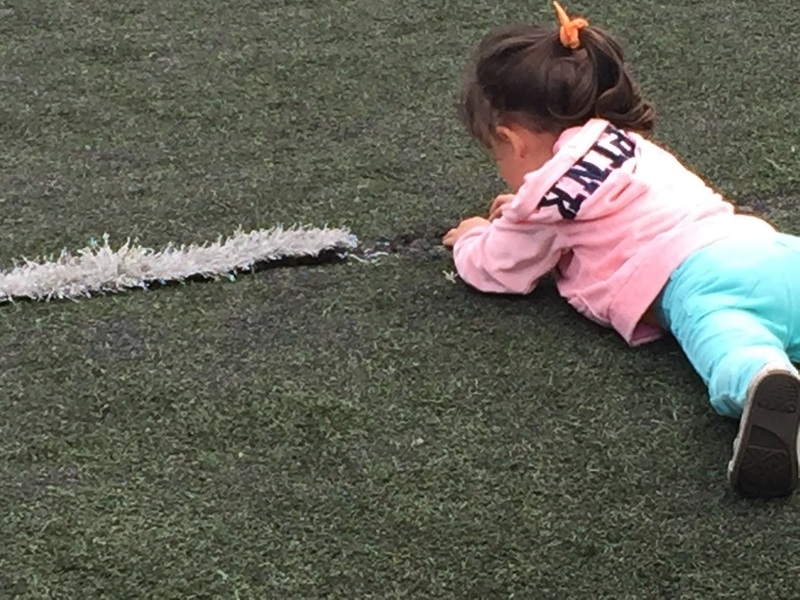 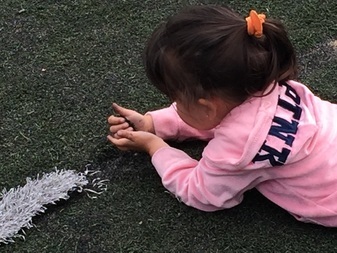 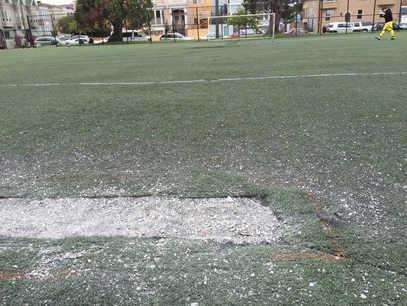 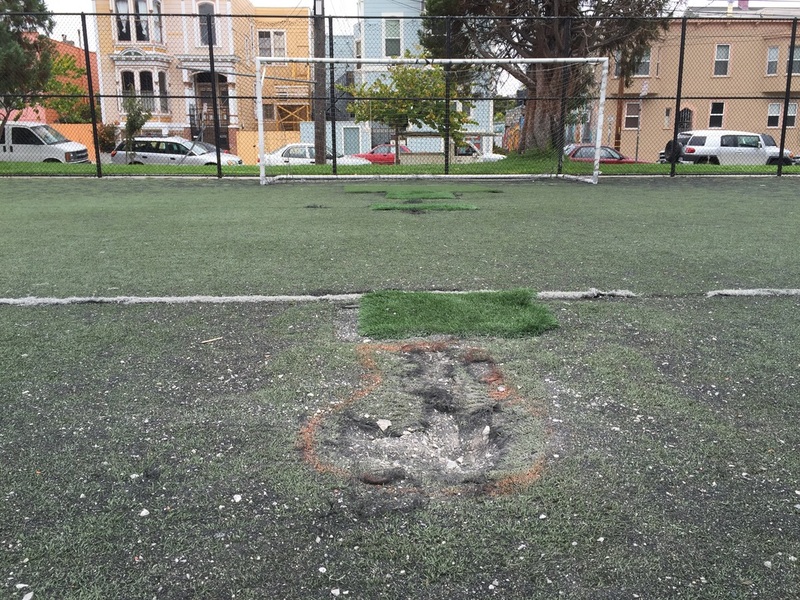 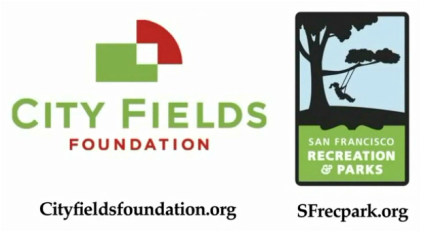 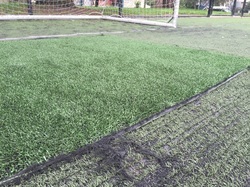 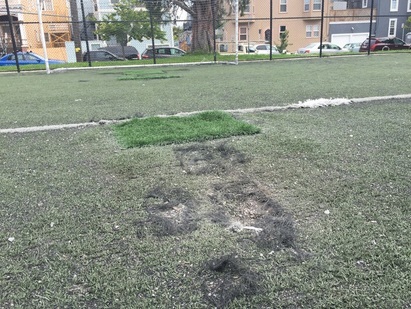 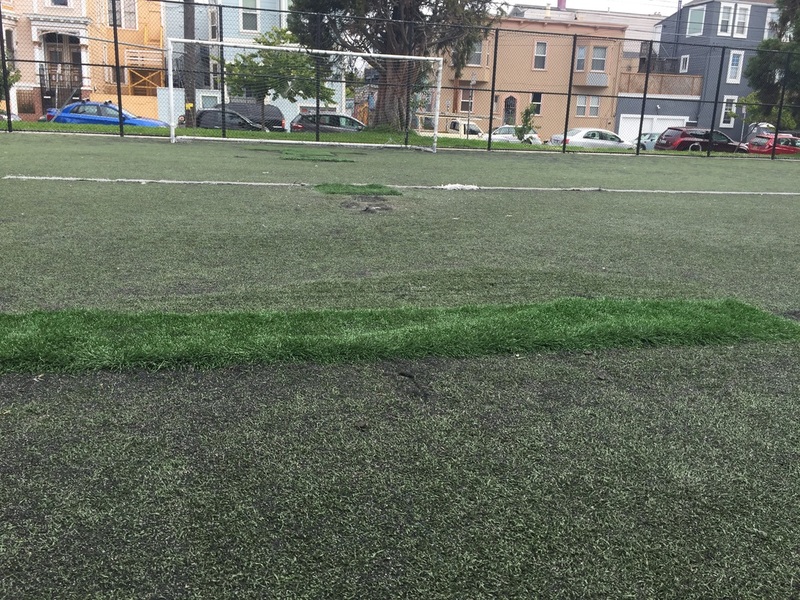 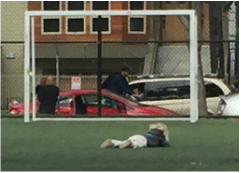 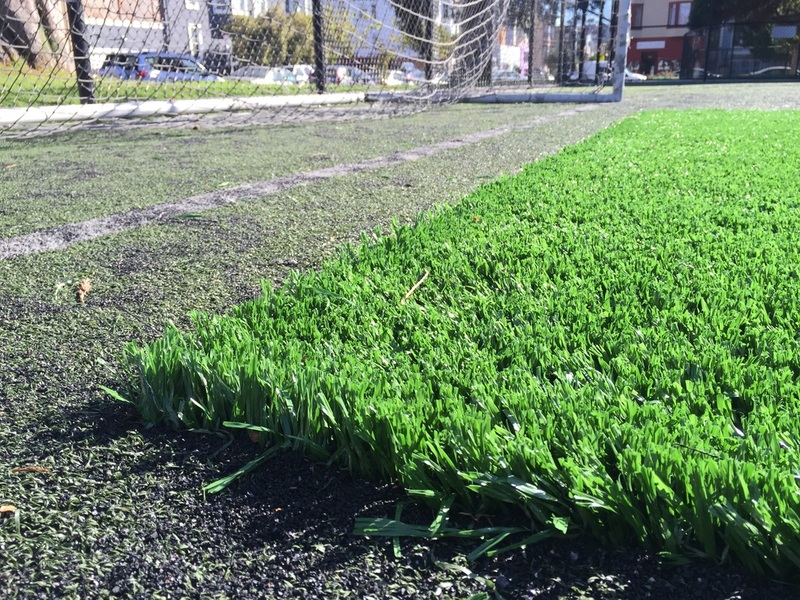 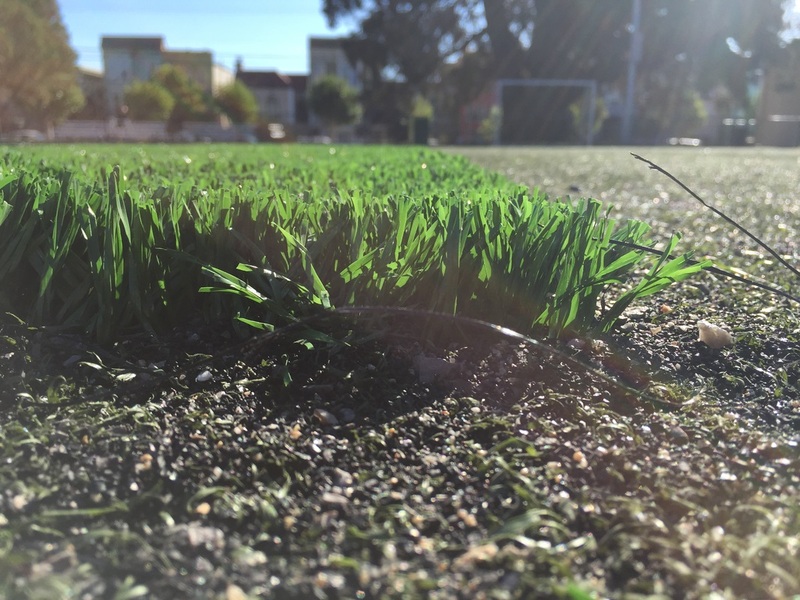 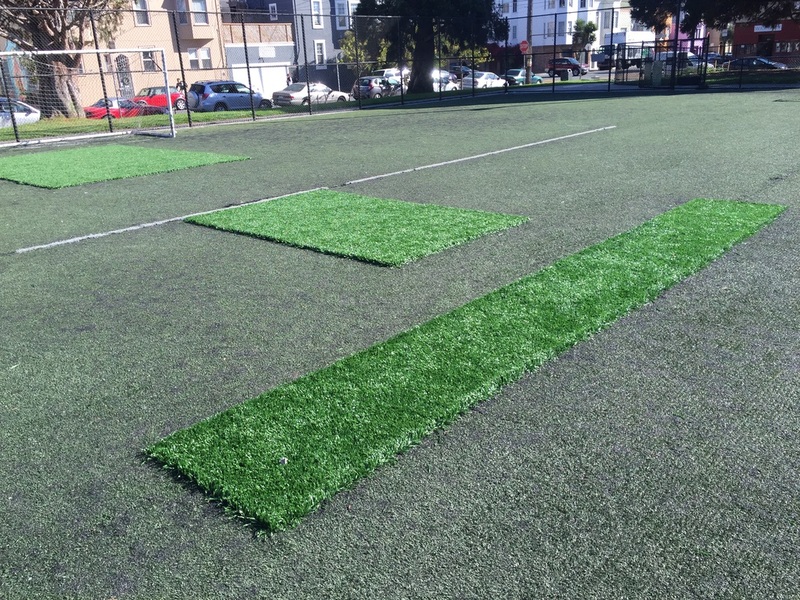 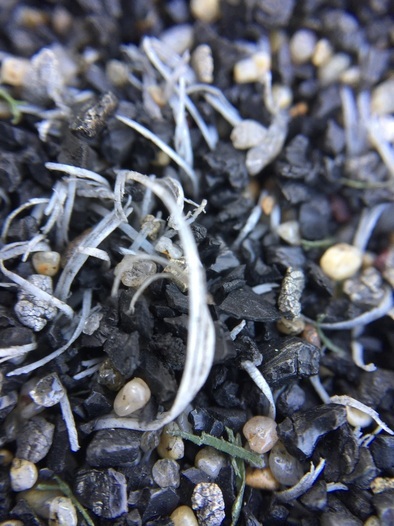 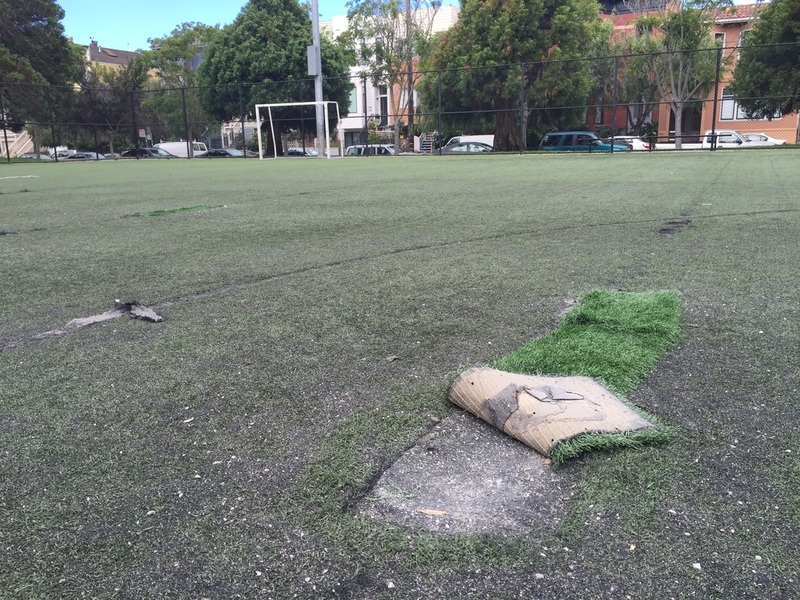 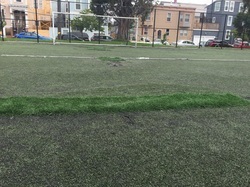 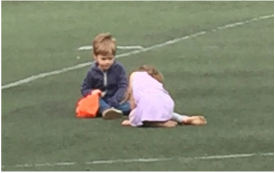 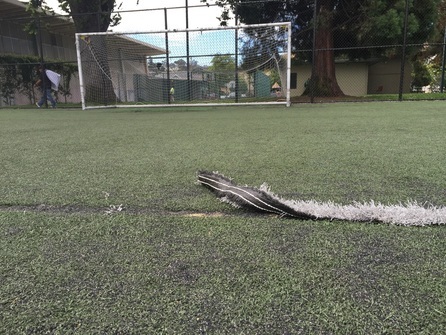 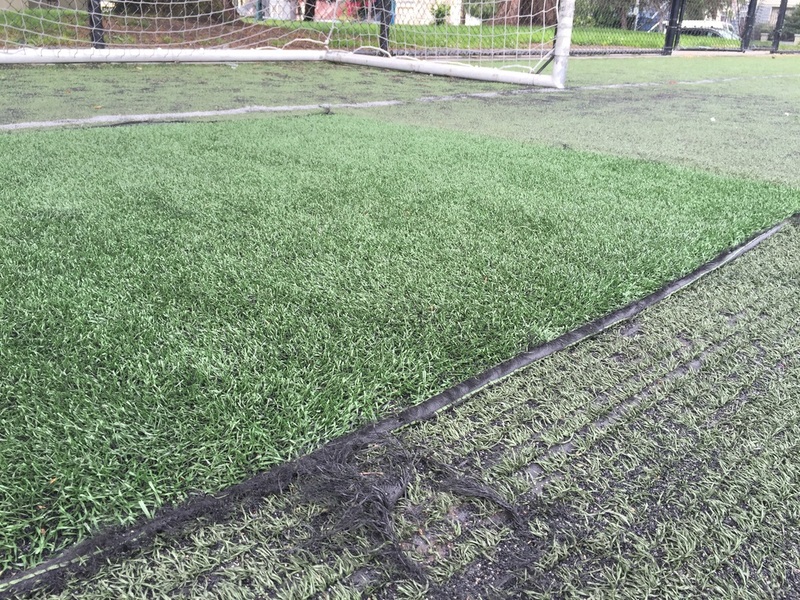 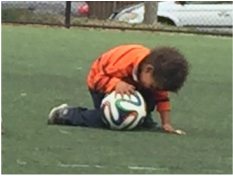 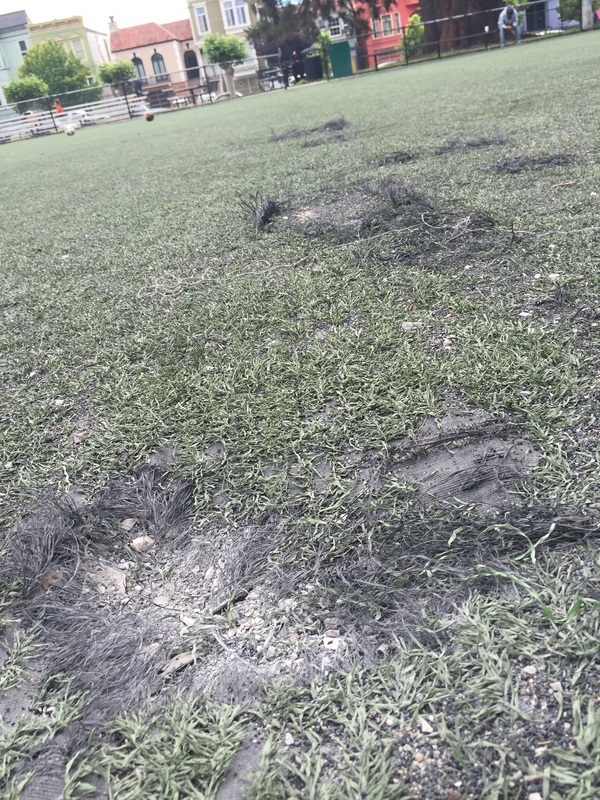 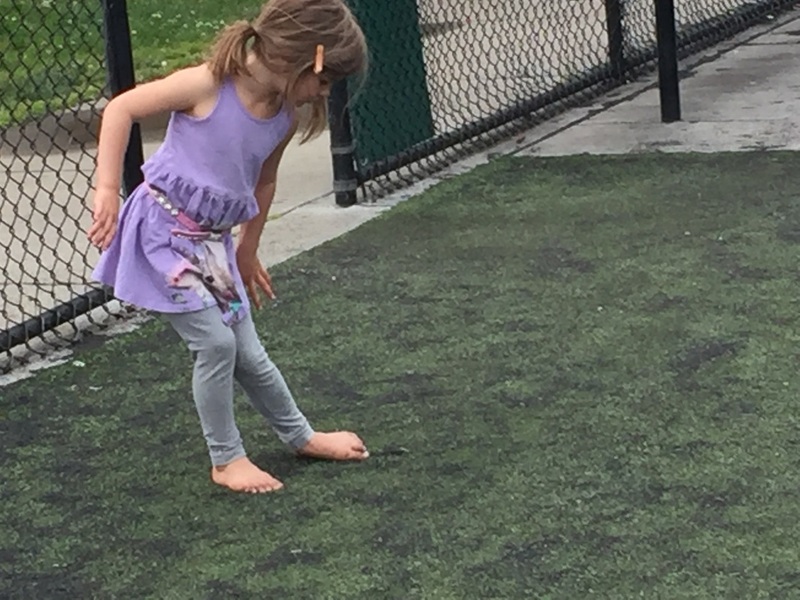 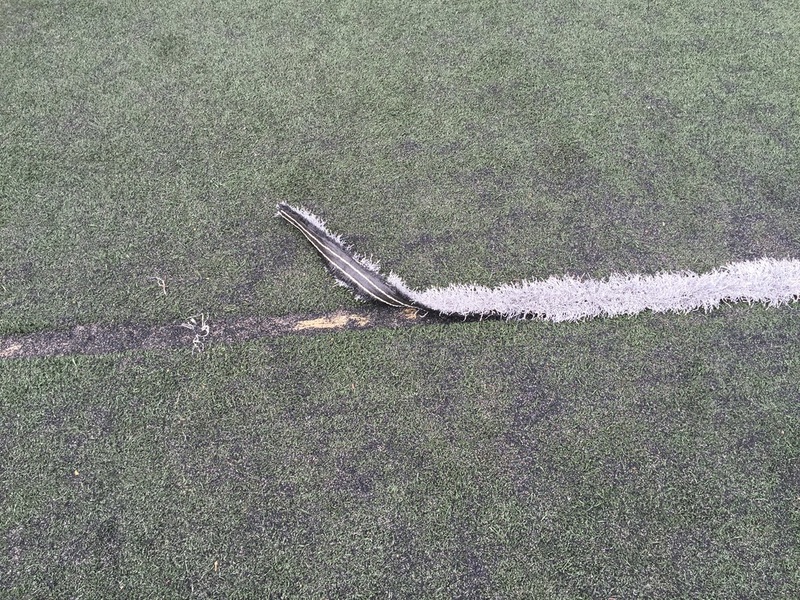 ​​It used by City Fields Foundation and the SF-RPD to showcase to the media and the public that synthetic turf was safe, economical, and durable -- and would supposedly be viable for more than 8 years. 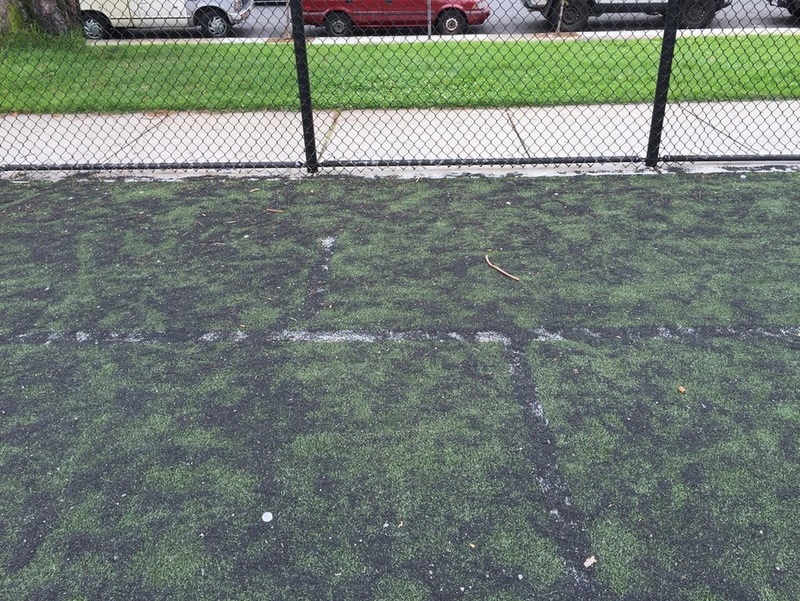 ​The grass and soil were removed and replaced with gravel. 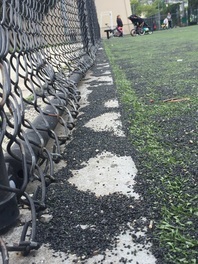 A plastic polyethylene / polypropylene rug was stretched over gravel. 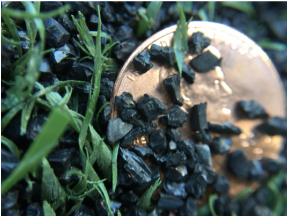 As predicted, (by a FieldTurf employee), in two years the tire particles became "hard as rock". 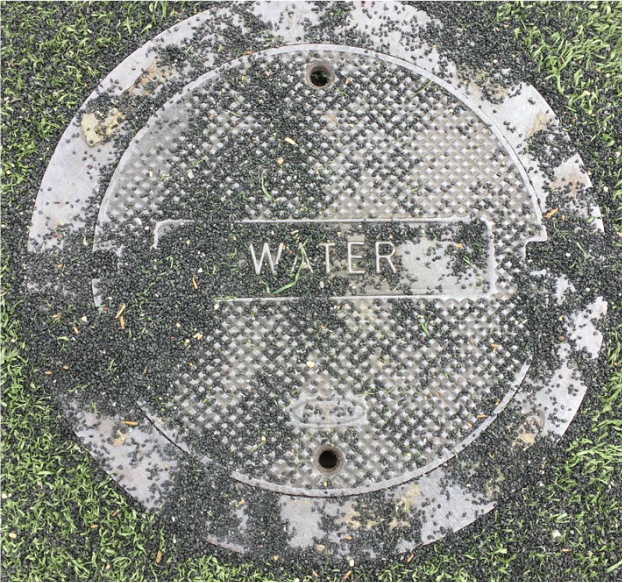 The particles dried out and broke down into dust. Claims that were made regarding the safety of the particles -- turned out not to be truthful. 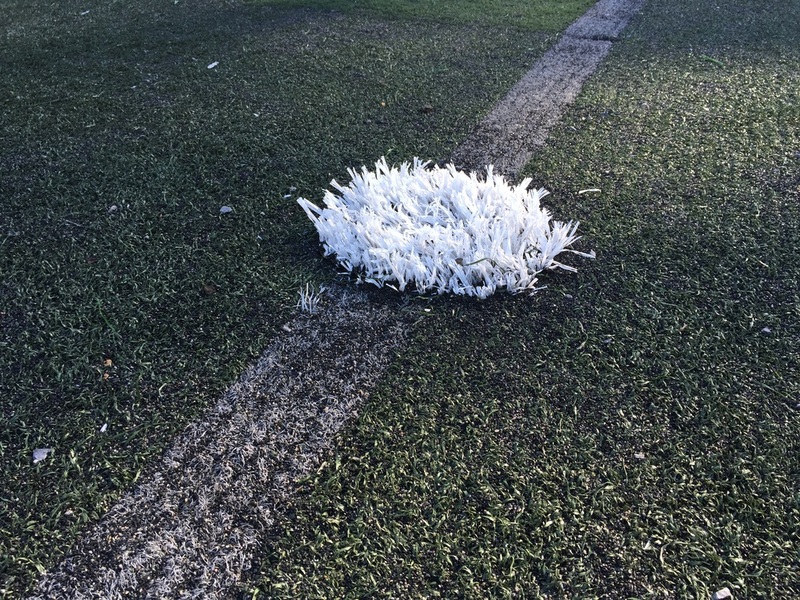 Within the first year the field started to fray. 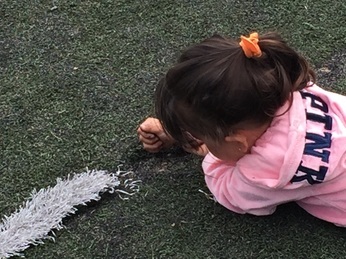 Both the plastic and the tire crumb began to breakdown. 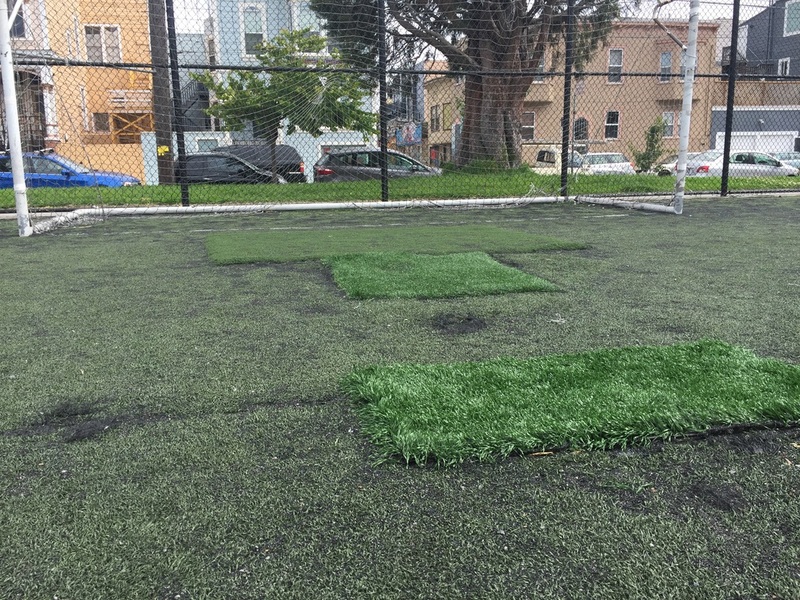 The field was determined to be unsafe. 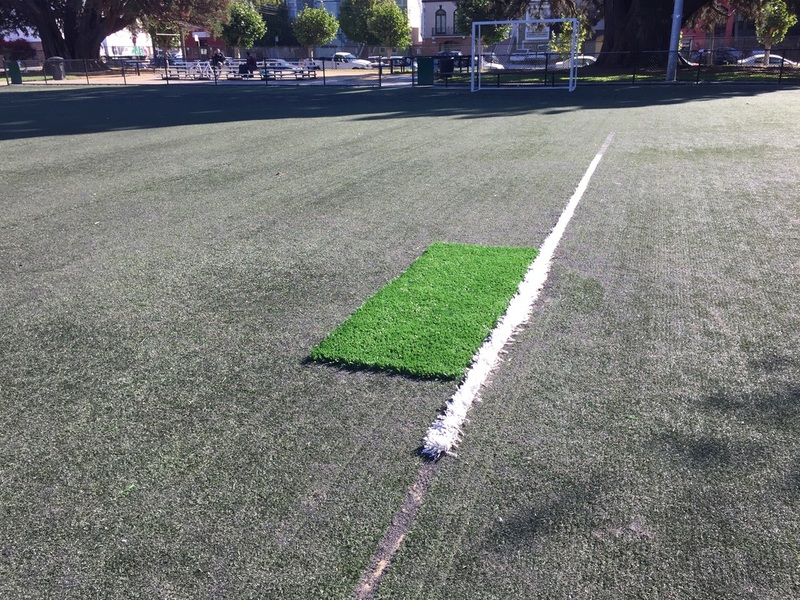 ​ It had to be replaced. 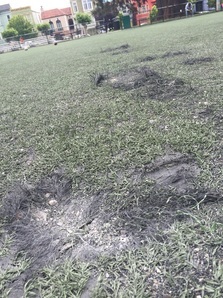 After the redo -- the new field once again began to deteriorate. Patches were used to cover the gaping, rock filled, holes that were developing. 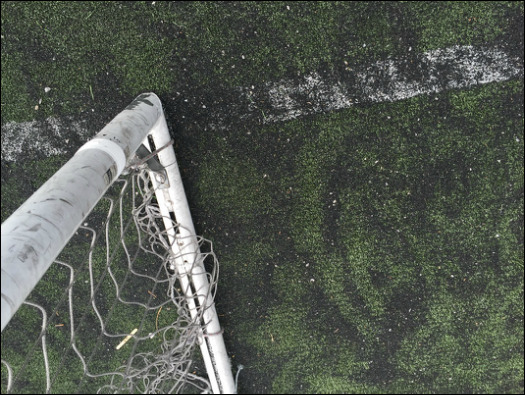 The patches themselves became trip hazards. 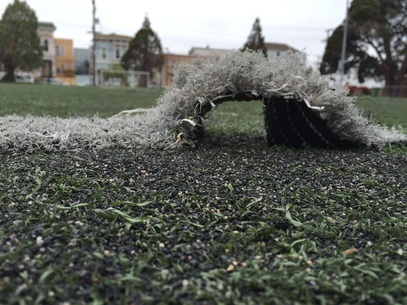 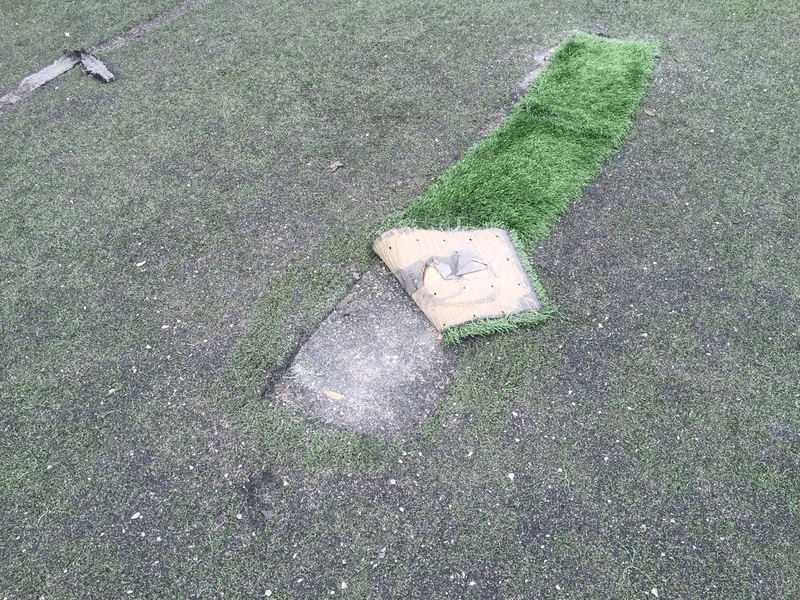 The synthetic turf continues to deteriorate. 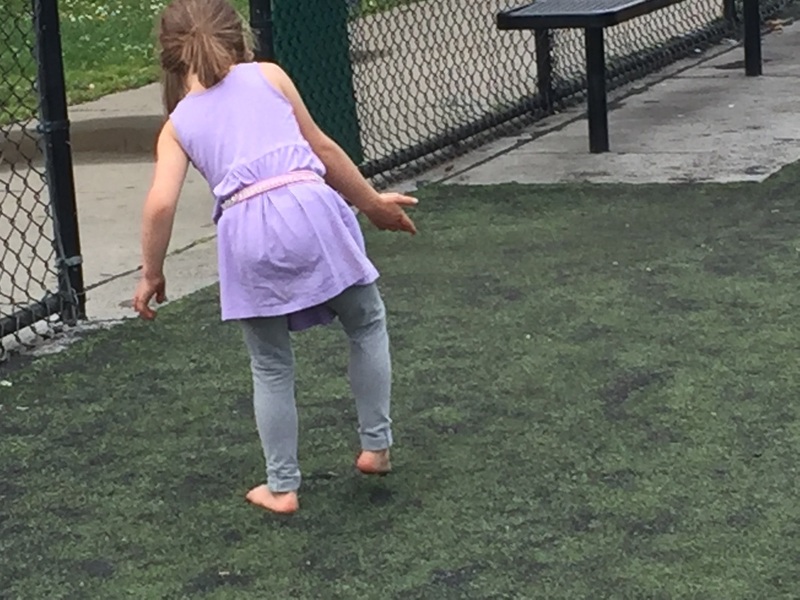 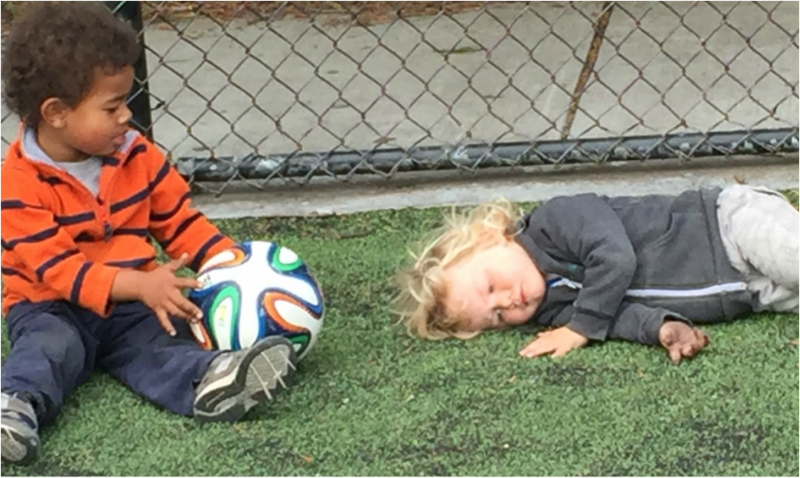 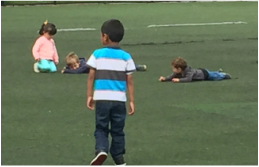 The neighborhood park has become little more than a toxic sandbox for children to roll around and play in.